If your order weighs less than 13 ounces, save huge on shipping with USPS first class (with tracking number). This product weighs 24.8 oz. 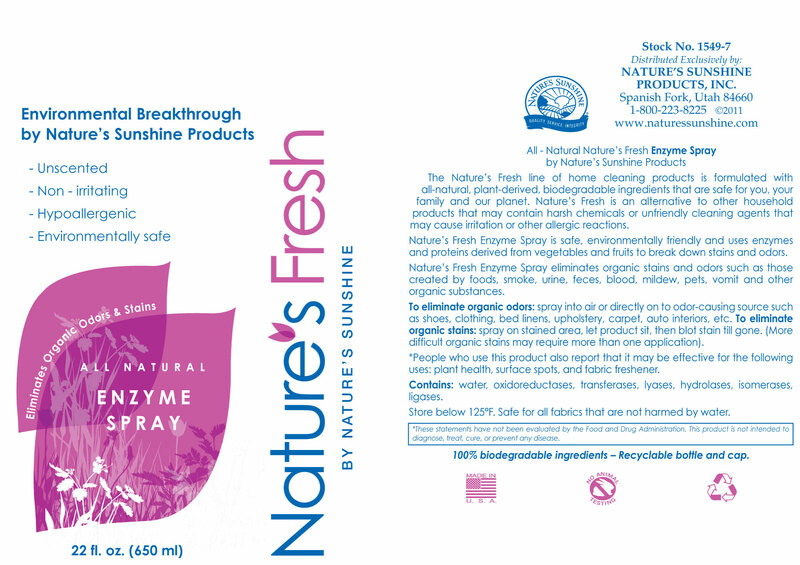 Nature’s Sunshine Nature’s Fresh Enzyme Spray is an unscented, hypoallergenic, all-natural spray that eliminates stains and odors with enzymes and proteins from fruits and vegetables. Nature’s Fresh Enzyme Spray breaks down the molecular structure of stains and odors without doing harm to the fabric. Contains: water, oxidoreductases, transferases, lyases, hydrolases, isomerases, and ligases.